I’m embarking on a reading (and writing) project that I’ve been thinking about for a while: reading all of Georgette Heyer’s novels in order of publication, including the “suppressed” novels and the mysteries and the historicals and the anthologies and, well, all of them! I’m also going to be blogging about the books as I go along, because why not? Jane Austen remains my favorite author (and I think Georgette Heyer would approve of that), but Heyer is most likely my next favorite. I go to her books as well as Jane’s in times of boredom or pain, looking for comfort or just a way to engage my mind for a while. It’s not just the stories (though the stories are great): it’s the style. I love Austen’s style and I love Heyer’s style. I don’t mean the Regency cant that has confused many readers and been copied by many authors, I mean the elegance of the language and the refusal to dumb it down for the reader. 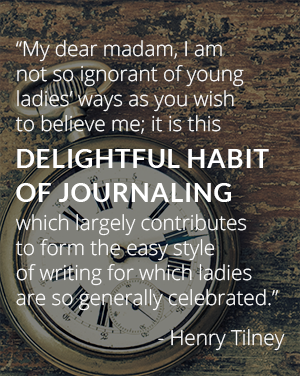 Heyer wrote what she thought best and challenged the reader to keep up with her. Like Austen, she did not write for dull elves. Austen wrote only six books, so it’s easy to change it up and yet still stick to your favorites; however, Heyer wrote more than 50 books, and there are a half-dozen that I’ve read over and over. I want to change it up a bit, and I want to become more familiar with the books I don’t read as often, or that I’ve never read at all, or that I read so long ago that I don’t remember anything about them. I haven’t set a time limit on this project. This is supposed to be fun, so I’m trying not to be all control-freaky about it. I originally thought I would make it a project to be completed by the end of 2015, but there are more than 50 books so there is no way that is happening. I have other things I want to do and other things I want to read, and I know I will want to take breaks. This is a work in progress, so I am still developing how the posts will appear. I plan to blog at least once about each book. I would like to provide some background information about each one as well as my thoughts about it. 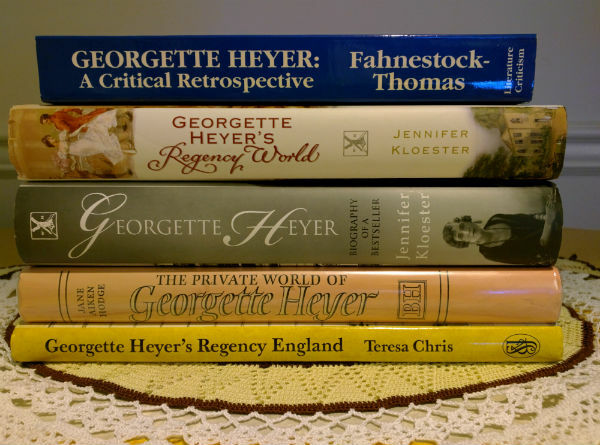 I’ll be depending on my small but very complete Heyer reference library, pictured above, from top: Georgette Heyer: A Critical Retrospective by Mary Fahnestock-Thomas, which includes articles about Heyer and her books as well as book reviews and some short stories written by Heyer. This book was privately published about 15 years or so ago, and I’m not sure it’s in print anymore, which is a shame for dedicated Heyer fans. The second book is Georgette Heyer’s Regency World by Jennifer Kloester, which has information about, obviously, Georgette Heyer’s Regency world–as distinct from, say, Jane Austen’s Regency world. I’ll write more about that when I get to the Regencies. The third book, also by Jennifer Kloester, is the recent very good and complete biography of Heyer, Georgette Heyer: Biography of a Bestseller. I think in the U.S. it didn’t have the subtitle, but I imported it from the U.K. as soon as it was available as I didn’t want to wait the several months before it was published here. The next book is The Private World of Georgette Heyer by Jane Aiken Hodge, which was until Kloester’s biography the only biography of Heyer available; published in 1984, Hodge took a different approach, wishing to avoid disclosing too much about the famously private author, as well as avoiding angering still-living authors who had plagiarized Heyer (Kloester names names for the most part). The last book is my most recent acquisition, another rare book: Georgette Heyer’s Regency England by Teresa Chris. It’s a lovely book about all the places in England where Heyer’s Regency novels are set, as well as other information about the time period, with sumptuous illustrations by Heyer cover artist Arthur Barbosa. This is also out of print and usually pretty expensive, but I was able to pick up a reasonably priced copy from ABE recently. I’m pretty sure these are all the Heyer-specific books that exist at the moment, but if anyone knows any others, let me know! I’ll add each post here as it is published, so this post will act as an index of the project as well. Exciting project Mags. I will be following along and anticipating each novel as you work the list. After this project, you will be the go to gal for Heyer and I hope to see a book develop from it. Happy New Year to you, too! But I suspect Jennifer Kloester will remain the go-to gal for Heyer even when I’m done! This is really a blog-centric project, and done for my own satisfaction more than anything else. I just thought others might enjoy reading my posts about it. Great project! She is one of my favorite authors.